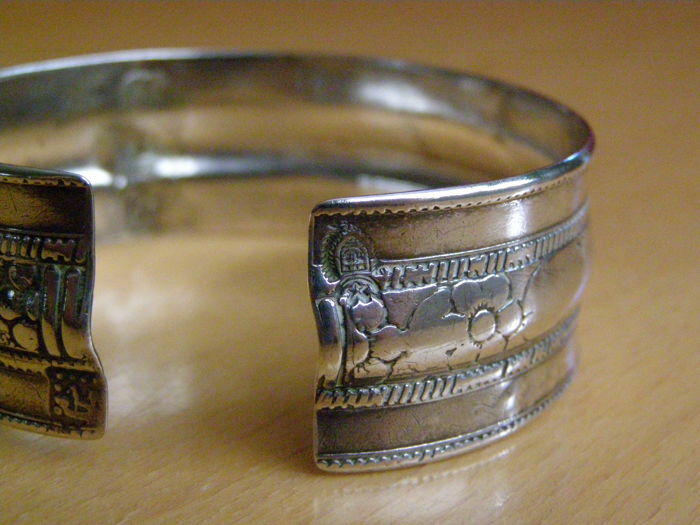 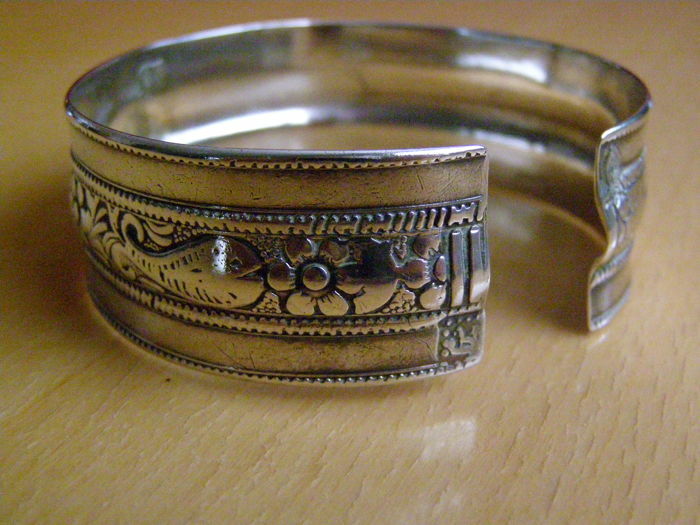 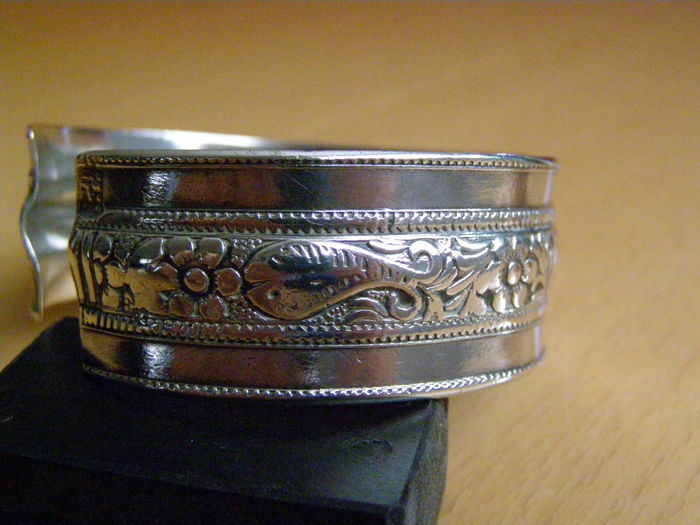 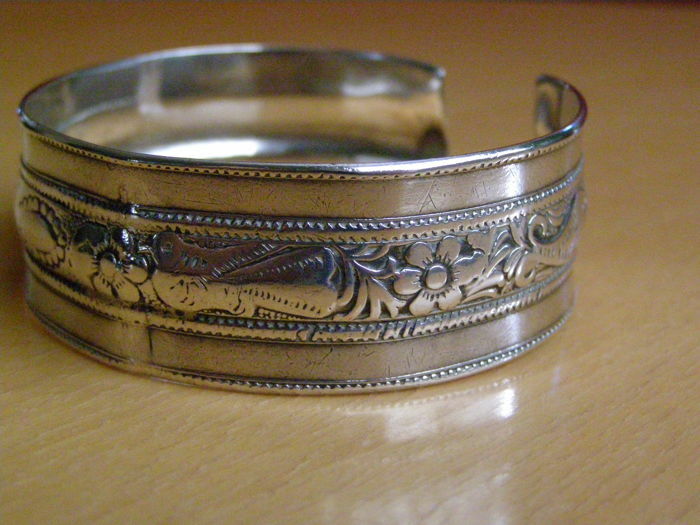 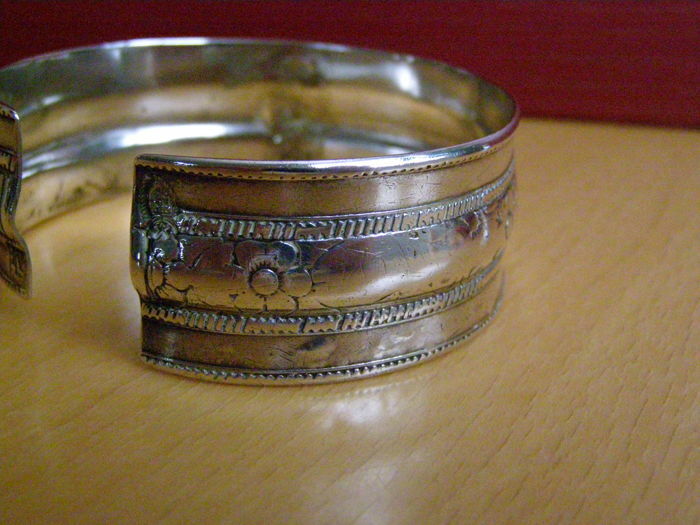 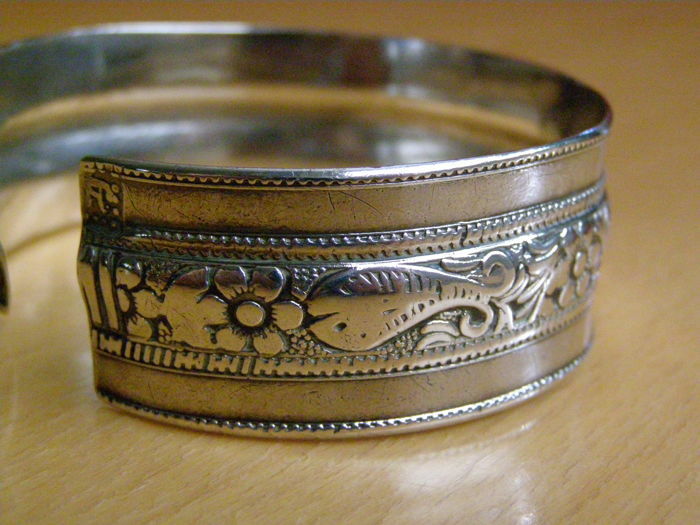 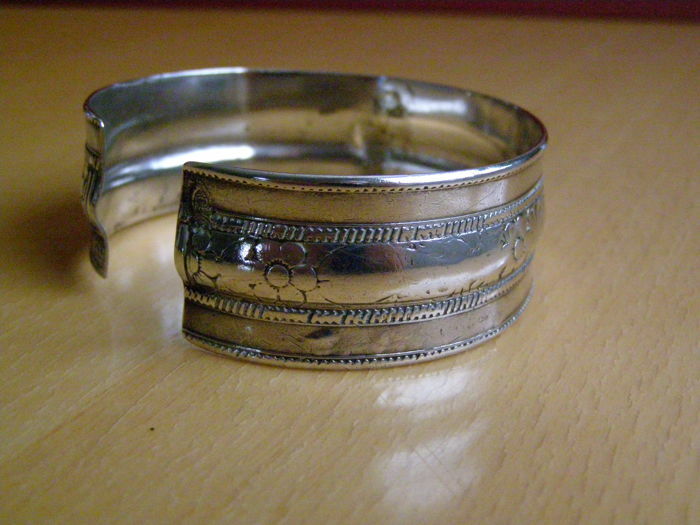 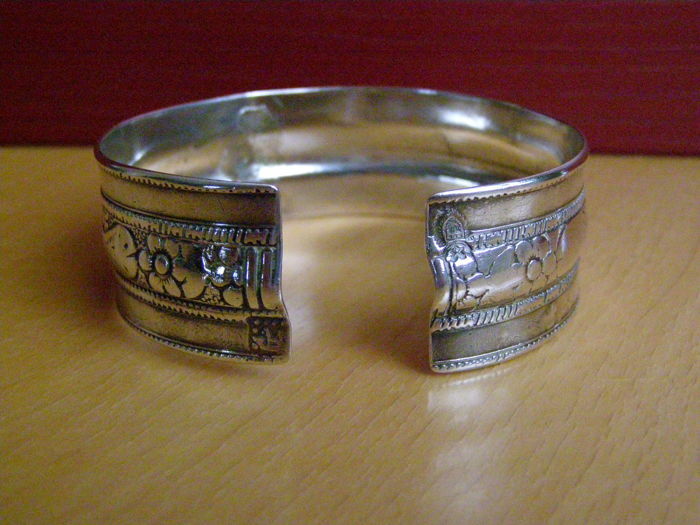 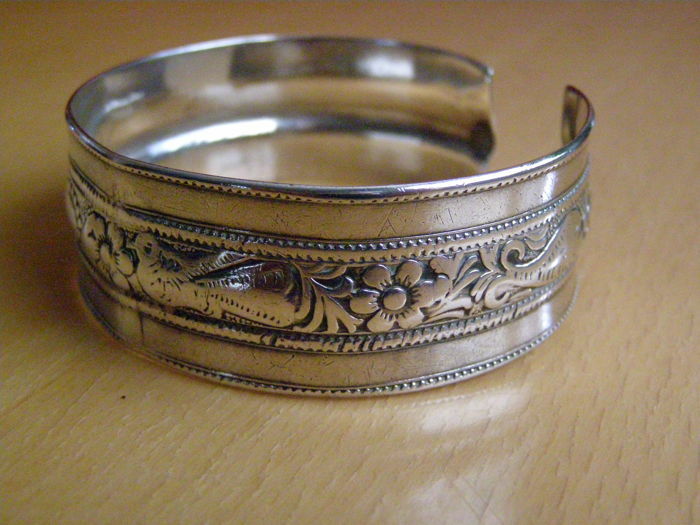 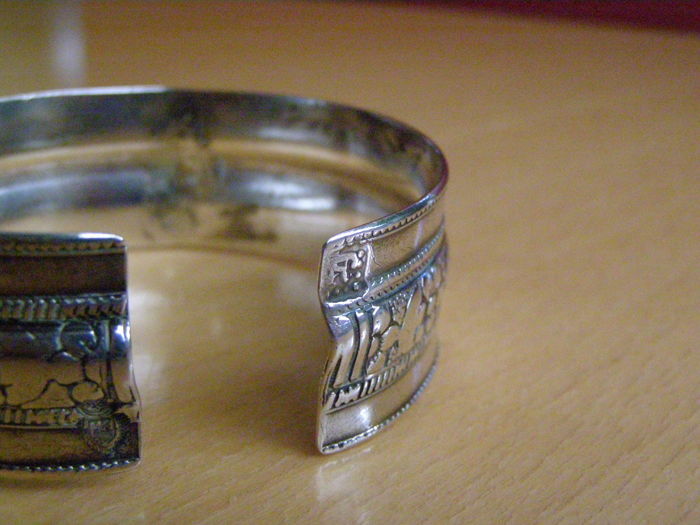 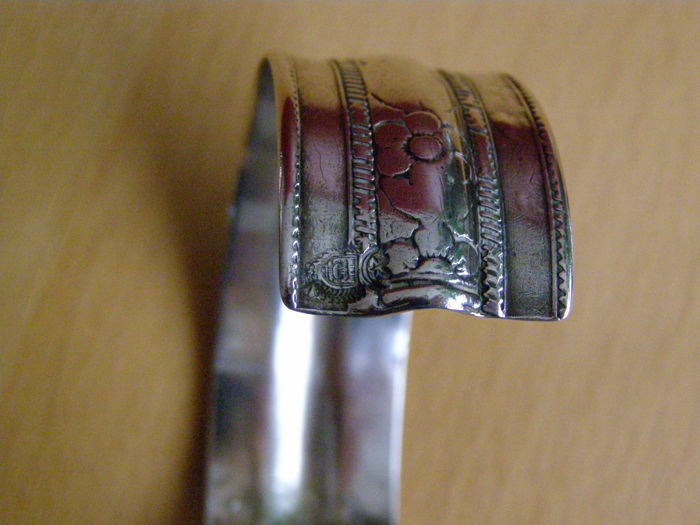 Antique or vintage, beautifully decorated, with beautiful details, decorations of flowers, birds and fish, polished, very bendable, with two silver marks or maker's marks, silver bracelet from Libya. 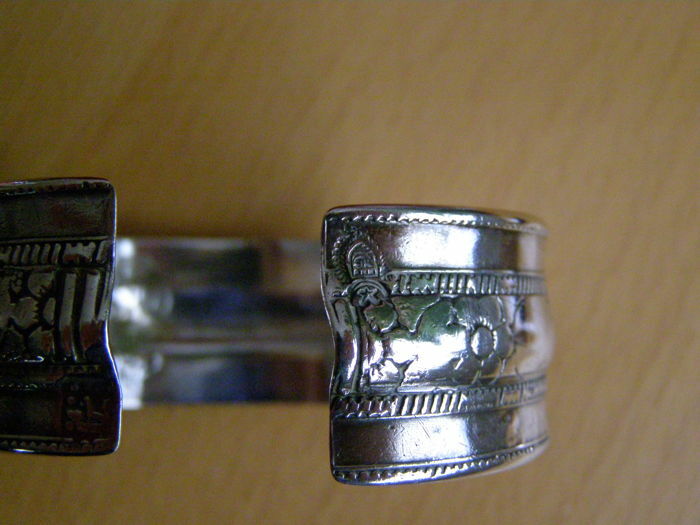 Obviously made with great craftsmanship, entirely handmade. 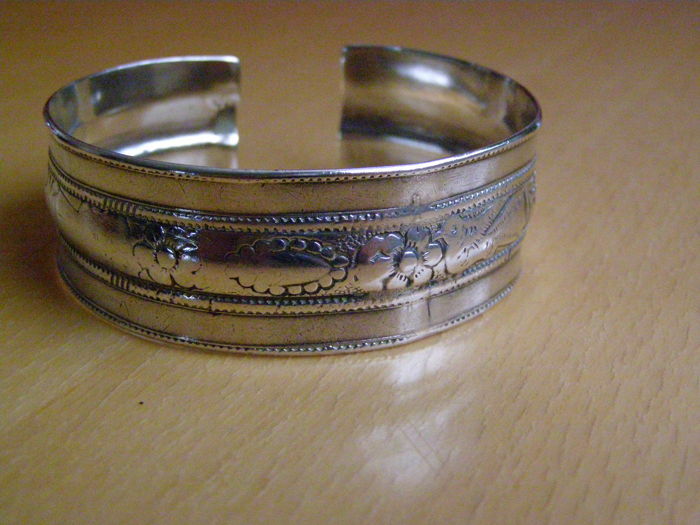 Worn, due to which part of the decoration is worn off, beautiful old patina. 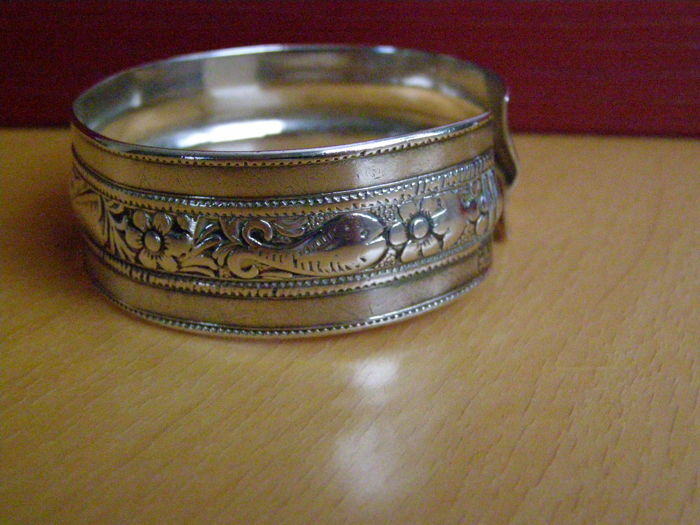 Beautiful silky soft shining warm patina. 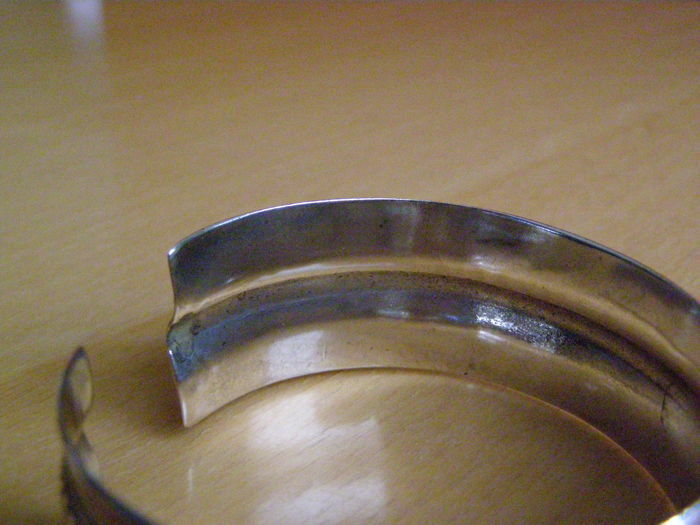 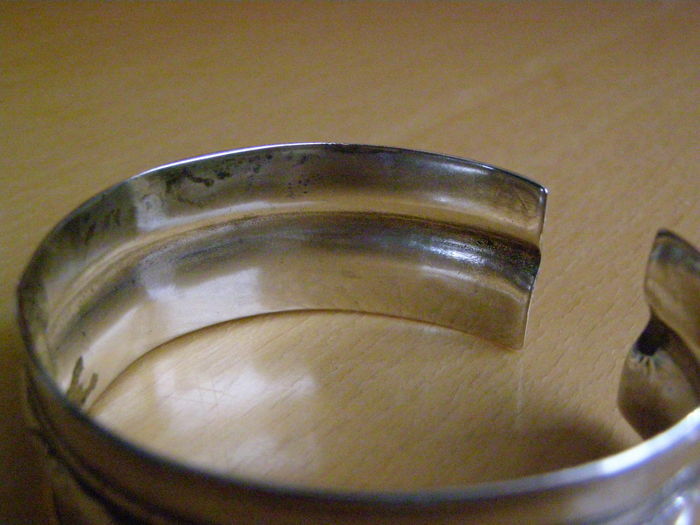 The bracelet is very bendable. 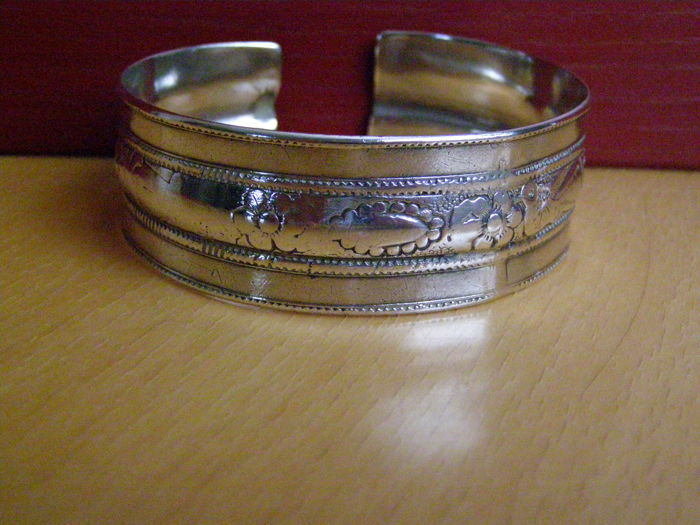 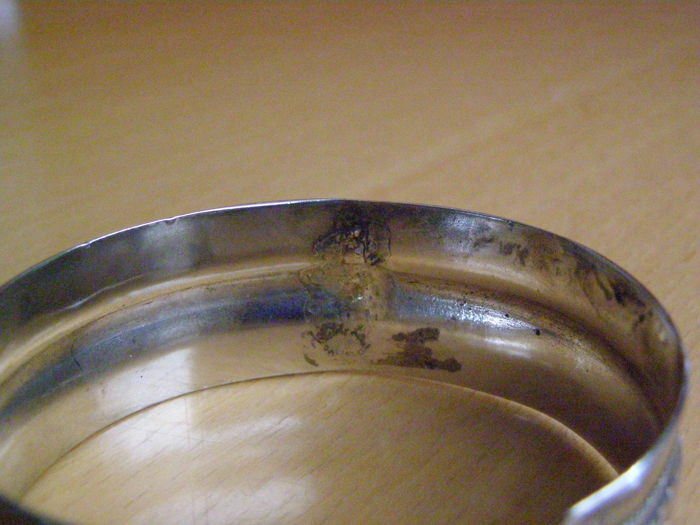 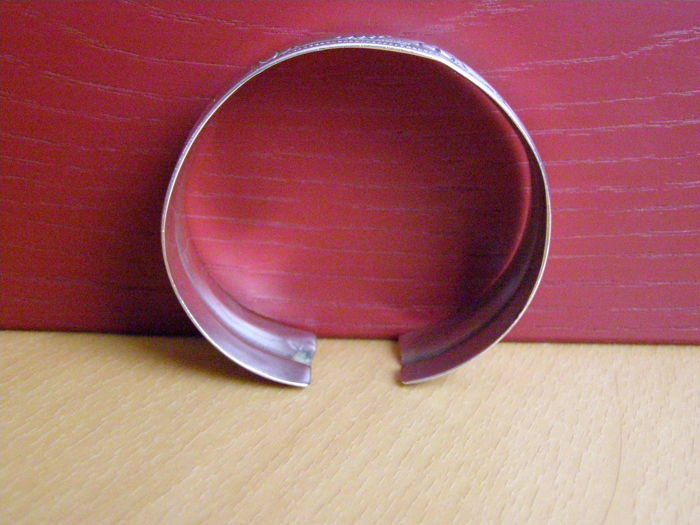 Silver bracelet with high silver grade (acid test). 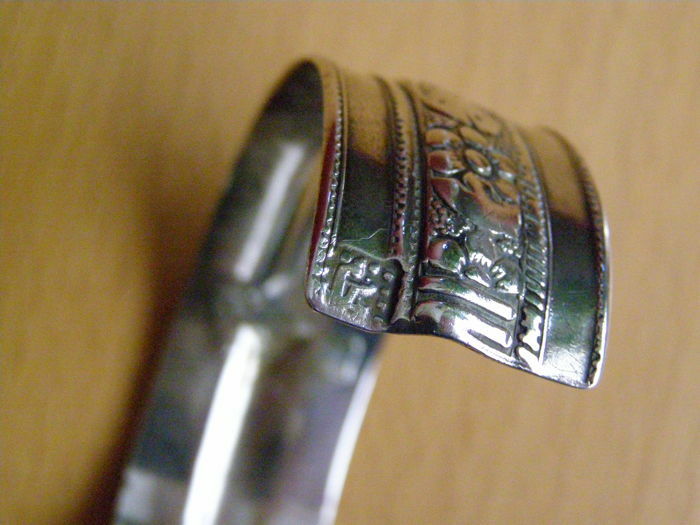 Marked twice on the opening on the outside (see photos). 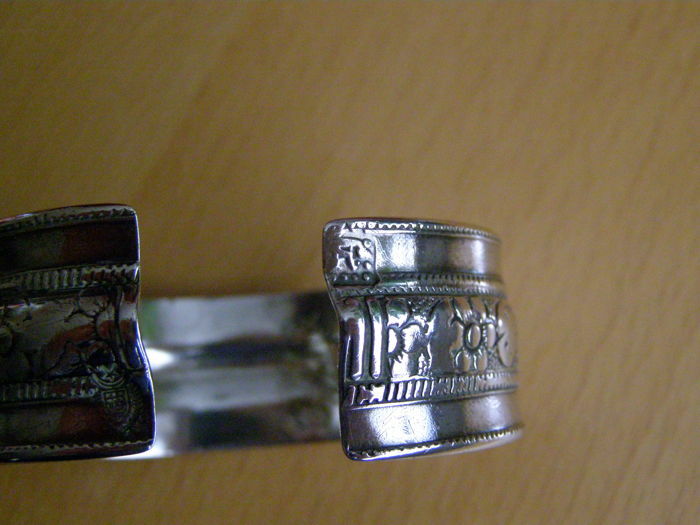 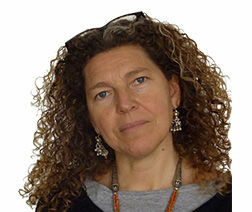 Similar bracelets are depicted in: A World of Bracelets, Anne van Cutsem, Skira, 2002. 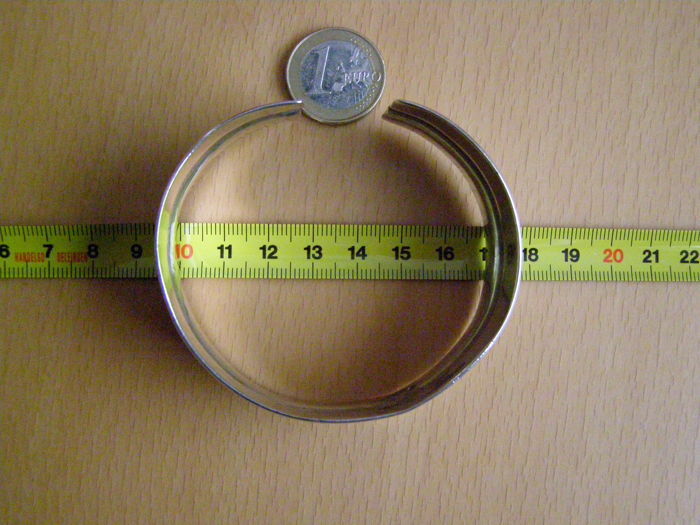 Dimensions (approximately): outer dimensions are 7.3 x 6.8 x 2.5 (height) cm; inner dimensions 6.9 x 6.4 cm; thickness is 0.2 cm; opening of 2.0 cm, but very bendable. 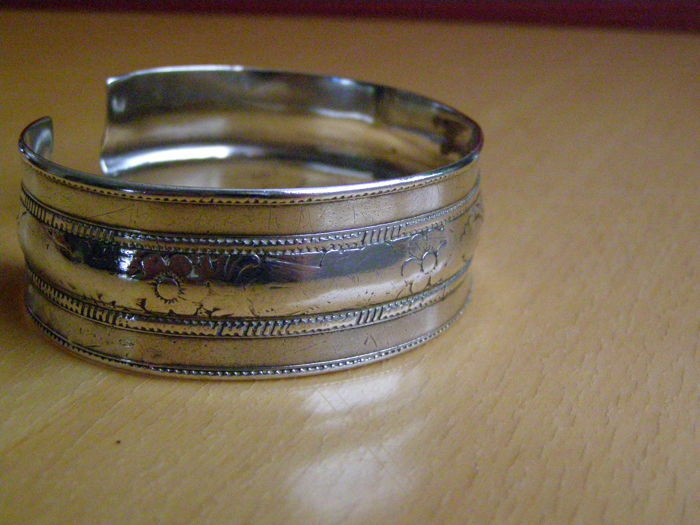 Will be shipped as a registered parcel with a tracking code. 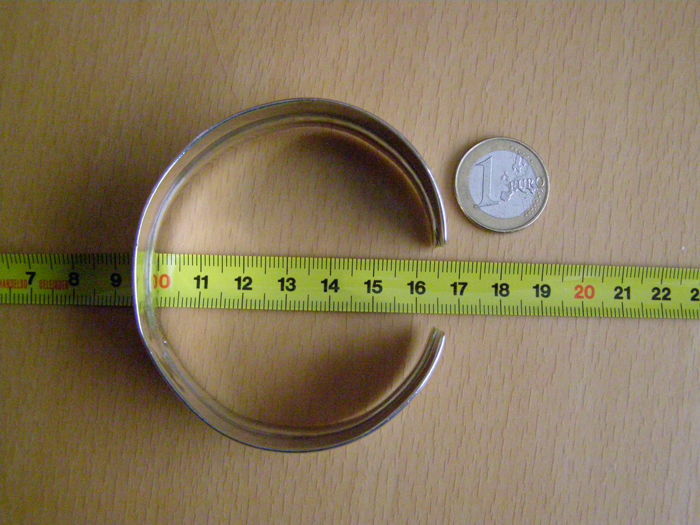 Can also be picked up in Leiden, the Netherlands.